Fourth plays second in this game and with hosts having a 6-4 record and the away team coming into this game with a 7-3 record, it is a massive match for both teams. This is the fourth time that these two teams have clashed this season and Krasnodar have won all three outings but this is a very different Panathinaikos team. Since Panathinaikos last played Lokomotiv, they gave embarked on a 6-1run, transforming their season and giving them great hope of success this season. The Greeks know that a win in this game will virtually place them into the playoffs so there is every incentive for the home team. One player who has made a massive difference since joining in with the action at Panathinaikos is Elliot Williams, who has averaged 15.7 points per game. Three new signings came in for the Greeks and they haven’t looked back since, and who knows where they will end up this season? If the away side wins this game, they will book their place in the playoffs for the very first time. There may be further games left to play but you can bet that Lokomotiv will be keen to have their playoff spot wrapped up as quickly as they can. The team has been great at both ends of the court and their defensive record of averaging a loss of 68.5 points per game has to be seen as a big plus point. 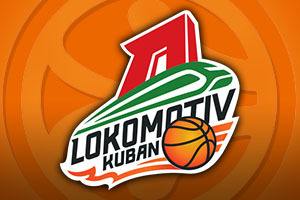 With players like Malcolm Delaney, Chris Singleton and Ryan Broekhoff all grabbing big points for Lokomotiv this season, there is every chance that the fans from Krasnodar will be singing once again this season. The bookmakers think that it is going to be a tight game but they think that the hosts will have enough to clinch the game. 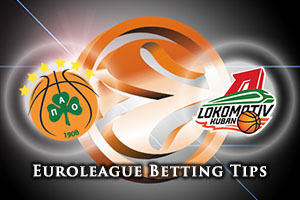 With this in mind, you should look to take Lokomotiv Kuban Krasnodar at +3.5, which you can find at odds of 1.90. When it comes to the Over/Under market, you should look to go OVER 146.0, which you can find at odds of 1.90. Bet Now!